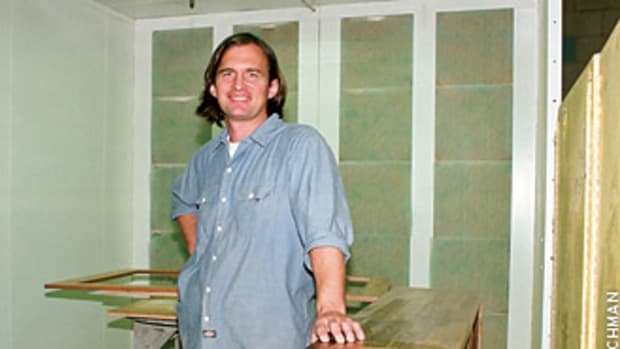 When Ken Seidman opened Seidman Woodworks in 1996, he didn’t imagine the success he would have in less than a decade. 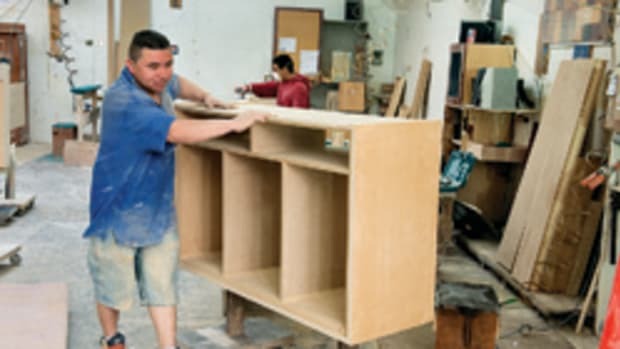 After working closely with members of his community through the years, the owner of the San Francisco custom cabinet shop has discovered that everybody knows everybody and you can’t hide from anyone. His reputation is always on the line, especially within the building community. Seidman jokes that he comes from a family that does nothing practical with their hands, pursuing careers in business, medicine and law instead. A woodworking career didn’t seem to be in the cards. 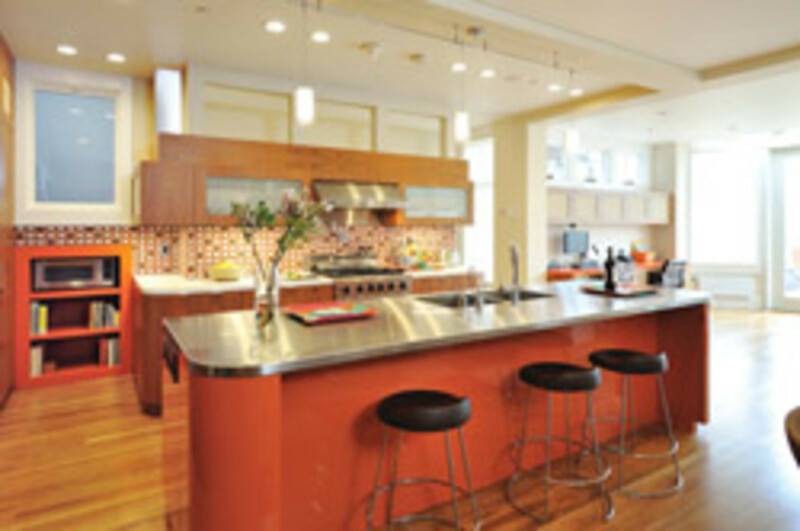 “But I always paid attention to cabinetry whenever I had the chance. I took shop class in middle school and high school. I had a little bit of experience when I was visiting Germany. My wife’s dad had a woodshop and I made her a jewelry box. When I came to San Francisco in 1986, my sister’s boyfriend was a cabinetmaker and I started working with him. I knew absolutely nothing, but I figured it out as I went. I made every mistake that’s possible to the profession and I acquired knowledge that way,” he says. But four years later, Seidman became a high school English teacher. When he returned to cabinetmaking, his sister’s boyfriend was no longer in business, so Seidman set up shop in a co-op. But he wasn’t making enough money to support his family. “When my first child was born in ’96, I decided I needed to up my game a little bit and be more successful in this business,” he says. “I moved from a shared-shop situation to working where I could hire someone. When I hired my first person, I had a revelation, which was I could hire people that knew more than I did. I had an extremely talented person come by the shop who grew up with a woodworking family in El Salvador. He had great skills and, all of a sudden from a client’s perspective, his skills were my skills. Seidman typically has three to four employees. When business is booming, he’s had as many as 10. 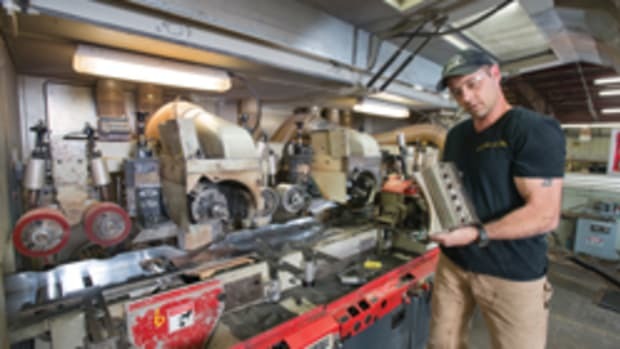 Seidman holds the title on his 5,000-sq.-ft. shop, dubbed his “retirement plan,” which is well-equipped with about $200,000 worth of machinery. 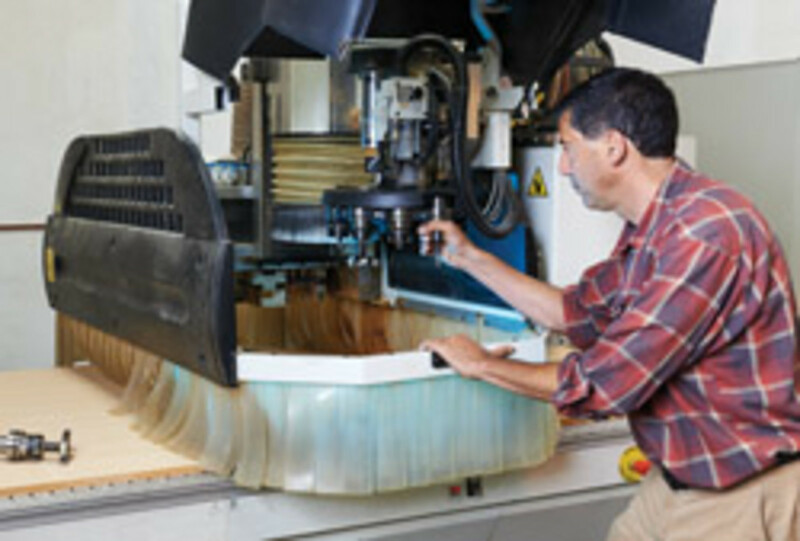 The list includes a Moribdelli Author 600K2 CNC router with a 4’ x 10’ bed; a Brandt Optimat KD82 edgebander; a Striebig Compact panel saw; two SawStop table saws; a Ramco 36” wide belt sander; SCMI 16” jointer and 20” planer. 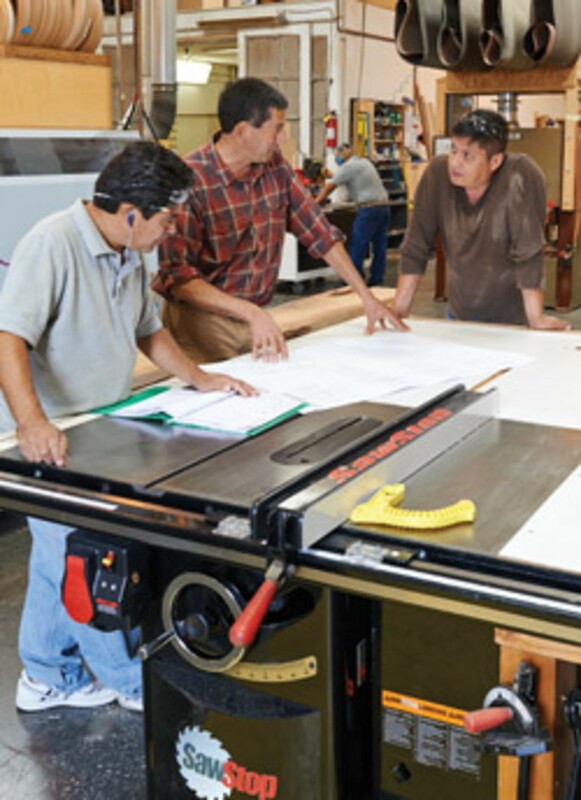 The shop uses Cabinet Vision and AutoCAD light software. The shop’s primary market is high-end residential. A few commercial jobs crop up, but it’s not something Seidman pursues. “We used to do a lot more commercial work in high-end, small office buildings, mostly. But commercial work is very cost-competitive and price is a huge component of the job,” he says. He explains that in San Francisco, almost all of the work opportunities are remodel jobs. Homes are gutted, while the look and feel of the exterior is left intact. In an upscale neighborhood, these homes sell for about $2 million and the remodeling budget can be up to $3 million. A few years ago, when the economy was in dire straits, Seidman and his crew had to drive several hours to get to jobs. Now they’re often less than an hour away from the shop. Seidman says his clients lean towards traditional designs. “We do a lot with Victorian- and Edwardian-era houses here. A lot of times we do paint-grade Shaker doors with a finish that matches the trim or the doors in the rest of the room. 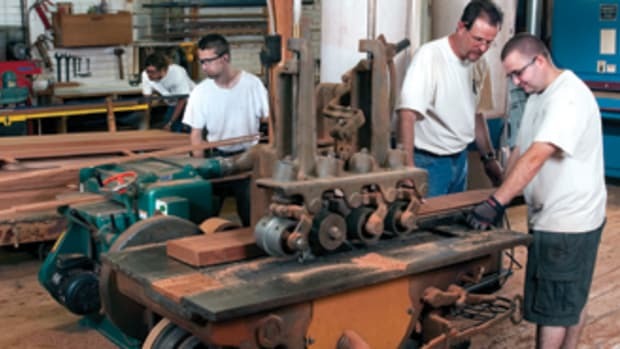 For material choices, Seidman steers his clients towards the best. 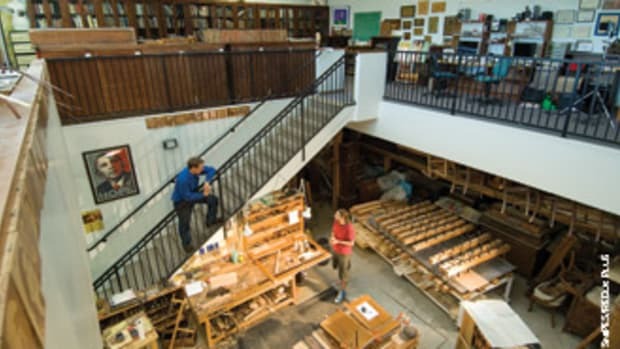 While he won’t dictate designs, he suggests North American hardwoods such as oak, cherry and maple over exotics because they are more likely to be responsibly harvested. 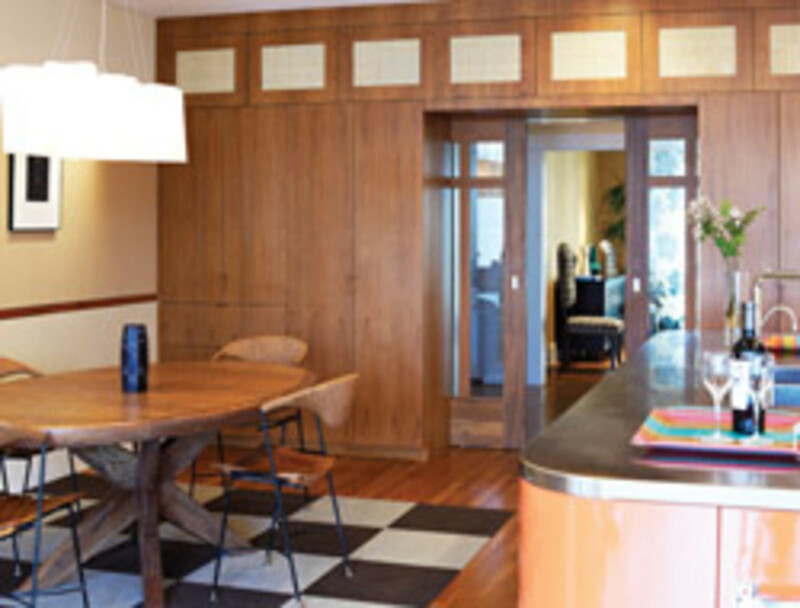 For interior cabinetry, he promotes the use of maple plywood over melamine because it holds up better. “The price point for projects in San Francisco is high enough where it’s not that big of a bump to go for better materials,” he says. There is strong demand for matte finishes. While the shop uses plenty of clear conversion varnishes, customers prefer oil-based products for their durability. When it comes to pricing, Seidman says he makes a point of breaking down each project into identifiable components so he can produce an itemized bill. While there have always been ups and downs in the market, Seidman says the most recent economic downturn was the most brutal. He recalls that during the worst of the downturn in 2008 and 2009, companies from outside the San Francisco Bay area arrived looking for work. “This was the only market left standing for a while,” he says. “During the recession, the high-end San Francisco market was strong but the rest of California was dead in the water so all of the shops would drive to the central valley or here to find work. It was a healthy jolt of reality. He believes that the key to staying successful as a business owner is being able to recognize your own strengths and capitalize on them and then be sure to compensate for your weaknesses. Increasing volume is one of Seidman’s goals, but he doesn’t want to grow too much. 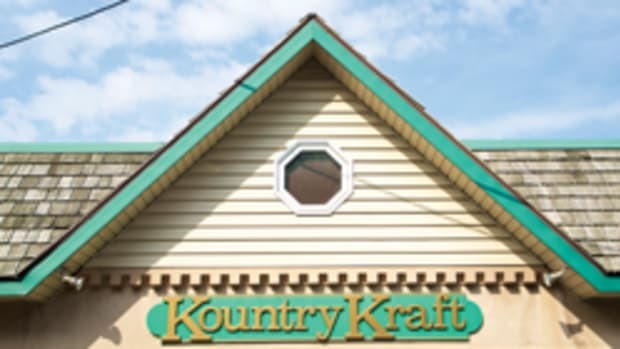 He continues to keep quality control in mind as he is presented with opportunities to expand. 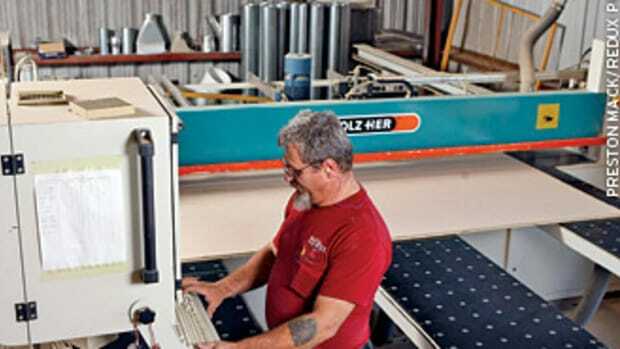 That includes making his CNC machine available to other shops. He’s got some work scheduled, but wouldn’t mind more. 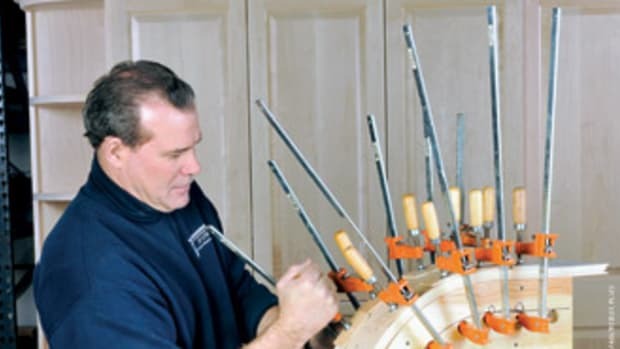 As a former teacher, he’s dismayed at the disconnect between the woodworking and education community. 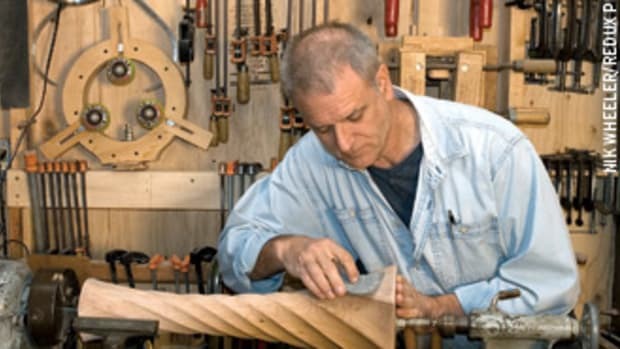 “I’d like to see a huge resurgence in woodworking education. I can see teaching as my retirement job. This year I’m going to use what spare time I have to learn about what’s happening with teaching woodworking to youths. I am having several individuals work here this summer as interns.